As Managing Director of the company, Carol’s comprehensive experience with children covers a broad spectrum. Having come from a large Irish family that undoubtedly cultivated her passion for children, Carol has worked across the globe for over 18 years as a nanny, a maternity nurse, an under-5 swim teacher and has worked extensively with new babies and children up to twelve years of age. Carol is mother to two small boys and is very passionate about making motherhood as enjoyable as possible. Carol’s Honours Degree in Psychology and Counselling covered modules such as Autism and Developmental Psychology and she has been able to implement her theoretical training into her practical work in different areas.Her specialty lies in resolving the issues that troublesome sleepers have from birth to two years old. Due to the recent increase of silent reflux, Carol has obtained an abundance of experience with babies who display symptoms with reflux and intolerances and can assist with an early diagnosis. Carol believes it is paramount that the reflux or intolerance is diagnosed as early as possible to avoid the infant developing a negative approach to feeding and she can facilitate in this process. Carol can assist with the “terrible twos” and any behavioural issues by introducing a constructive routine with some gentle discipline if required that will fit well with family life. Her philosophy is not to resolve the issues herself but instead provide the parent with the appropriate tools so they can deal with the current and any future issues that may occur. Carol and her techniques are very flexible and an individual programme is set up that suits the whole family. 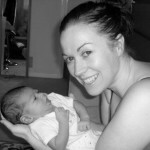 Jo is our baby, mummy and family enthusiast who has undertaken training with Nurturing Birth (May 2009) and recently Paramana Doula (March 2012) and is currently undergoing her mentorship as part of the Doula UK recognition process. Jo is also an experienced night nurse and is available for maternity cover to help baby settle into a routine and help them sleeping through the night, she also has some first hand experience with infants suffering from silent reflux.